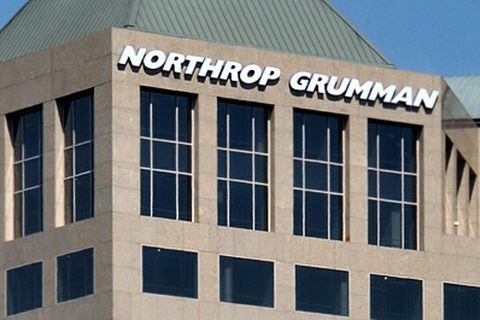 FALLS CHURCH, Va. – April 29, 2015 – Northrop Grumman Corporation (NYSE:NOC) reported first quarter 2015 net earnings of $484 million, or $2.41 per diluted share, compared to $579 million, or $2.63 per diluted share in the first quarter of 2014. First quarter 2014 diluted earnings per share included a $51 million, or $0.23 per share, tax benefit resulting from the partial resolution of the Internal Revenue Service (IRS) examination of the company's 2007-2009 tax returns. First quarter 2015 diluted earnings per share are based on 200.5 million weighted average shares outstanding compared with 220.4 million shares in 2014. The company repurchased 5.3 million shares of its common stock for $859 million in the first quarter of 2015. As of March 31, 2015, the company had repurchased 47.5 million shares toward its previously announced goal of retiring 60 million shares of its common stock by the end of 2015, market conditions permitting. "Our team is off to a strong start in 2015 with first quarter results that include solid margin rates at all four of our businesses. Strong operational performance, combined with our share repurchases, resulted in another solid quarter. We continue to execute a balanced cash deployment strategy that includes investing in our business and returning cash to shareholders," said Wes Bush, chairman, chief executive officer and president. First quarter 2015 operating income decreased $65 million, or 8 percent, to $780 million. The decline in operating income is principally due to pension items, including a decline in net FAS/CAS pension adjustment and higher corporate unallocated expenses, as well as lower segment operating income. The increase in unallocated corporate expenses is primarily due to higher deferred state taxes resulting from the company's $500 million discretionary pension contribution in the quarter. Total backlog as of March 31, 2015, was $38.4 billion compared with $38.2 billion as of Dec. 31, 2014. First quarter 2015 new awards totaled $6.1 billion, and book-to-bill was 103 percent. Updated 2015 financial guidance incorporates the impact of the company's $500 million discretionary pension contribution in the first quarter of 2015. First quarter 2015 operating income reflects a $27 million decrease in net FAS/CAS pension adjustment, a $22 million decrease in segment operating income and a $16 million increase in unallocated corporate expenses. The increase in unallocated corporate expenses is primarily due to higher deferred state taxes resulting from the company's $500 million discretionary pension contribution in the quarter. For the first quarter of 2015, federal and foreign income tax expense increased to $220 million from $207 million in 2014, and the company's effective tax rate increased to 31.3 percent from 26.3 percent in 2014. First quarter 2014 tax expense included a $51 million tax benefit resulting from the partial resolution of IRS examination of the company's 2007-2009 tax returns. Aerospace Systems first quarter 2015 sales increased 3 percent due to higher volume for unmanned and space programs, partially offset by lower volume for manned military aircraft programs. Higher unmanned sales reflect higher volume across a number of programs including the NATO Alliance Ground Surveillance program, and the increase in space programs reflects higher volume for restricted activities. Lower military aircraft volume was principally due to lower volume for the F/A-18 program. Aerospace Systems first quarter 2015 operating income decreased 3 percent and operating margin rate decreased 80 basis points to 12.6 percent principally due to less favorable performance and higher unallowable expenses than in the prior year period. Electronic Systems first quarter 2015 sales increased 2 percent primarily due to higher volume for space sensors, marine systems and tactical sensors programs, partially offset by lower volume for combat avionics programs. Electronic Systems first quarter operating income decreased 8 percent, and operating margin rate decreased to 14.7 percent due to business mix changes, which resulted in lower volume for mature fixed price production programs and higher volume for cost-type development programs, as well as less favorable performance, primarily in land and self-protection systems. Information Systems first quarter 2015 sales were comparable to the prior year period and include higher volume for intelligence, surveillance and reconnaissance, integrated air and missile defense, communications and cyber programs offset by lower volume for command and control and civil programs. Information Systems first quarter 2015 operating income increased 2 percent, and operating margin rate increased 20 basis points to 10.5 percent. Higher operating income and margin rate are primarily due to improved performance resulting from risk retirements associated with program completions. Technical Services first quarter 2015 sales increased 10 percent principally due to growth in international programs and higher intercompany sales, which more than offset lower volume for the ICBM program. Technical Services first quarter 2015 operating income was unchanged from the prior year period. Operating margin rate decreased to 8.8 percent principally due to lower income from an unconsolidated joint venture than in the prior year period. Northrop Grumman will webcast its earnings conference call at noon Eastern time on April 29, 2015. A live audio broadcast of the conference call will be available on the investor relations page of the company's website at www.northropgrumman.com . Cash used in operating activities before after-tax discretionary pension contributions: Cash used in operating activities before the after-tax impact of discretionary pension contributions. Cash used in operating activities before discretionary pension contributions has been provided for consistency and comparability of 2015 and 2014 financial performance and is reconciled in Table 2. Net FAS/CAS pension adjustment: The difference between pension expense charged to contracts and included as cost in segment operating income in accordance with Government Cost Accounting Standards (CAS) and pension expense determined in accordance with GAAP. Net FAS/CAS pension adjustment is presented in Table 1. After-tax net pension adjustment per share: The per share impact of the net FAS/CAS pension adjustment as defined above, after tax at the statutory rate of 35 percent, provided for consistency and comparability of 2015 and 2014 financial performance as presented in Table 1. New Awards — Total backlog as of March 31, 2015, includes $6.1 billion of estimated contract awards in the three months ended March 31, 2015.